Home Banking Is it Wise to Borrow Money from Friends or Family? Is it Wise to Borrow Money from Friends or Family? When seeking investment for a business or facing difficult financial times, it may be tempting to turn to friends or family for help. Though it can be one of the easiest ways to acquire a quick loan, borrowers should be wary of the potential downsides. 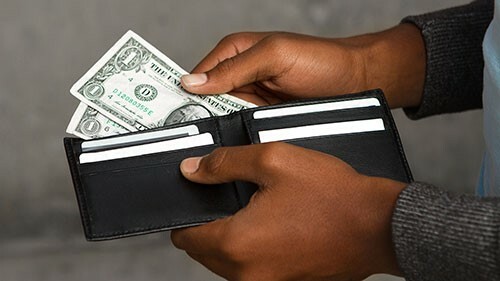 “Friend to friend, parent to child, child to parent, brother to sister—borrowing money from someone makes you beholden to that person,” says Karen Haywood Queen, contributor to Bankrate.com. Before borrowing money from family or friends, ensure your relationship is robust enough to survive potential disagreements about finances and lifestyle that would not occur when borrowing from a financial institution. On the upside, successfully borrowing and repaying money from a relative or friend can strengthen the relationship, as both parties may come out with renewed respect and trust for each other. Before you ask for a loan, ensure you have taken all other steps toward improving your financial situation. This includes calling your credit card companies to negotiate better interest rates, asking for a raise at your job, tracking your spending to identify where you can save money, starting a budget and exploring other options for earning money. Whether you are lending or borrowing, and whether the loan is big or small, it is highly advisable to make a written loan agreement even when family and friends are involved. The more the transaction is treated in a professional and business-like manner, the better. At the end of the day, obtaining a loan from a family member or a friend can be risky and may end up affecting your relationship more than your personal finances. That is why, if possible, it is ultimately preferable to secure a loan with your financial institution.